Many HIS systems feature document storage facilities. In several cases, however, it may be more desirable to store documents within the scope of Audiqueen test results. 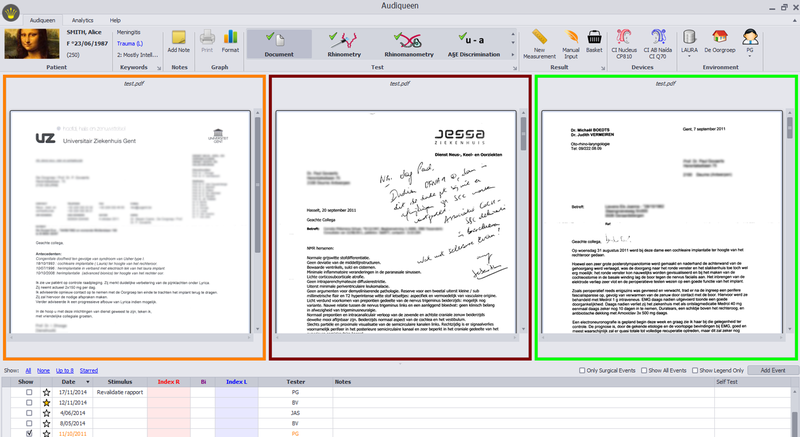 Audiqueen therefore allows the storage of document files in a structured manner (e.g. auditory rehab reports, speech therapy reports, medical records or test results received on paper from colleagues, etc.). Example of how different documents have been collected under the test type ‘Document’. In this case, all documents have a PDF format, but other formats (such as doc, docx, xls, xlsx, ppt, pptx, etc.) are also possible. 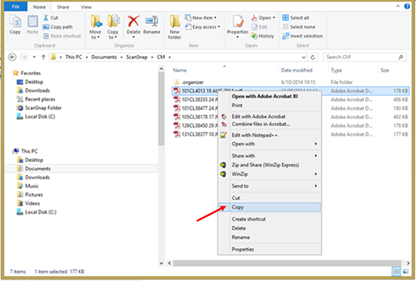 Audiqueen shows all documents and some details in the list, while the graphical part shows thumbnails allowing to open the original documents. The document is retrieved and copied to the clipboard. and paste it into Audiqueen with the Paste button in the Manual Input function.